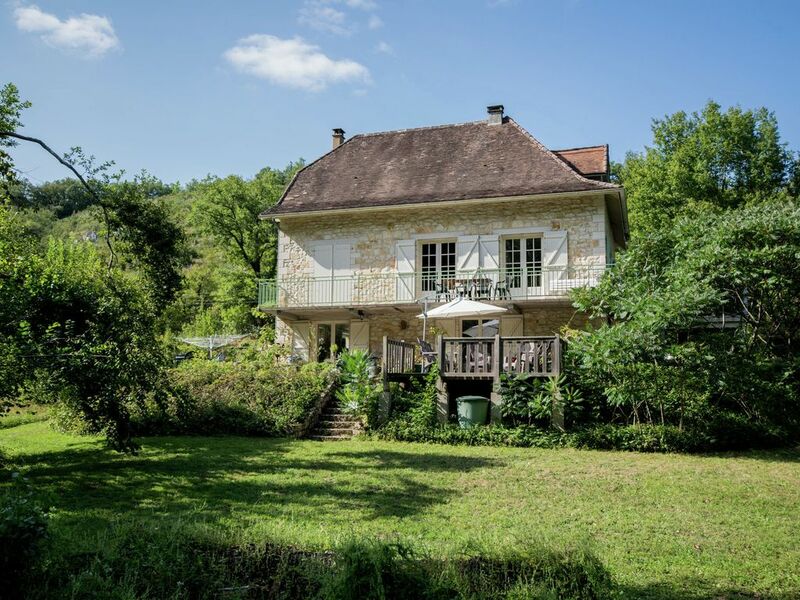 Just a few metres from the Célé river, you will find this fantastic villa amidst the untouched landscape of the Parc Natural Regional des Causes du Quercy. You can go to the river for swimming, fishing, and canoeing. Around the villa, there is an large, wild garden, where you can have a wonderful time enjoying the landscape. There is seating spread out across the area—including loungers, of course. The accommodations are located on the 1st and 2nd floors, and there is a large balcony all around with a view of the river. Your privacy will be fully guaranteed by the friendly English owner, who lives in the basement, and everyone has a separate entrance. The furnishings are cosy and charming, with all modern amenities. There are 4 bedrooms, 3 bathrooms, a pleasant living/dining room and a well-equipped kitchen. The area is rich in prehistoric caves, which date back 30,000 years. In particular, you should pay a visit to the caves of Peche-Merle and Marcenac. There are unique villages, such as Saint Cirque Lapopie and Rocamadour, which are some of the most beautiful villages in France. There are festivals everywhere—definitely during the summer months—and be sure to head to one of the many markets! A wonderful place; we don't often find something like this! Highly recommended!! Très bien reçus, hébergement agréable et très bel environnement.